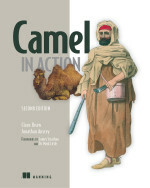 Manning is having our new book, Camel in Action 2nd edition, as deal of the day on Friday February 9th 2018 which means you can order the book with 50% discount. This is for both the e-book or the combo with both p-book and e-book. 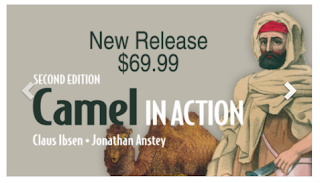 When you have added the book to the shopping cart, you can on the cart enter the discount code afterwards. 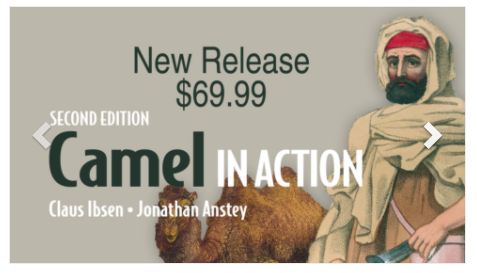 There are also a couple of other books in the deal, which you can see here. I missed the deal. I was waiting got this book for a long time.